QUESTION #12 – According to Revelation 5:13-14, ‘the One’ (God the Father) and the Lamb (Jesus) are both worshipped at the same time. The Bible is clear that only the one true God may be worshipped. How then can the Lamb (Jesus) be worshipped if he is not God? ANSWER – Some might wonder why trinitarians go to such lengths to prop up a doctrine that is nonsensical to its core and has not a shred of scriptural support. There is a very good reason. The Father of the lie, the Devil, the original Slanderer of God, does not want people to understand or appreciate the fact that Jehovah has exalted Jesus and given him his throne as a reward for Jesus’ absolute subservience and loyalty. That is what the trinity is all about — denying Jesus’ obedience and Jehovah’s generosity. And it has a powerful liar, even a god, who pushes it. From the very beginning in Eden the Devil accused God of not trusting his creatures. Later in the case of Job the Slanderer just came out and said it, accusing God of bribing his creatures with goodies in order to win their loyalty. Satan’s contention was that if God took it all away that any man would deny God to save his neck. By his sacrificial course Jesus proved that the Devil is a liar. Anyone who is not bent on pushing the Devil’s lie can readily see that Jesus plainly declared that God granted the Son to have immortality and he gave Jesus authority to judge. Nobody gives God life or authority. He has always possessed such. But by giving Christ immortality and indestructibility Jesus no longer needs God for anything. Besides that, God has given him everything, entrusting his very throne to the Son. There is nothing that Jehovah has held back, including the honor and glory that is given to God himself, contrary to what the Devil lyingly told poor Eve. So, in his madness the Devil has duped the masses of the untaught to believe that Jesus is God, that he received nothing from God, that he has always been God’s equal. Truly, Satan is a masterful liar —the best there is. 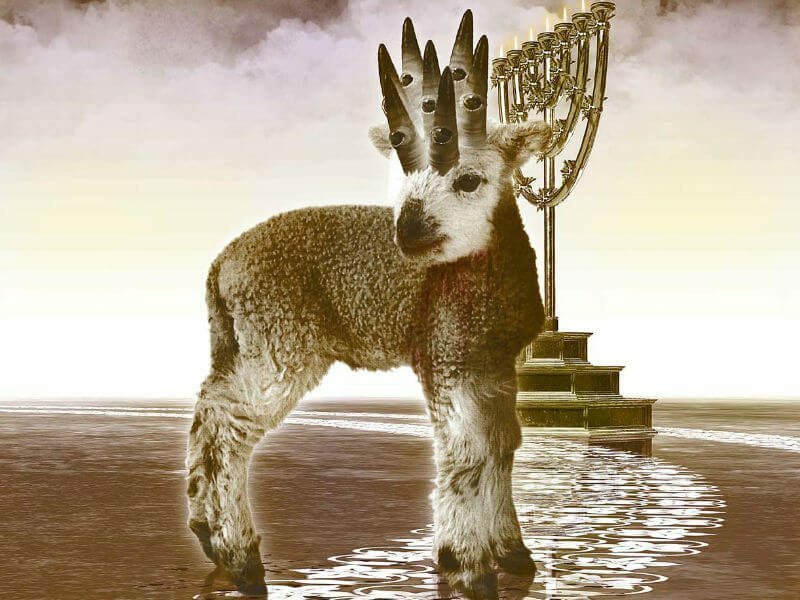 After Jesus was sacrificed as a blameless and innocent lamb, Jehovah resurrected him into the spirit world and exalted him to his right hand. And as Paul stated every knee will bend before him at some point in the future, including those in heaven. Although the trinitarian would have you believe that the Lamb is God and always has been worshipped, the angels give witness that the Lamb is worthy of the highest honors because he willingly allowed himself to be slaughtered. So, the question is, who are you going to believe, God’s loyal angels or a trinitarian?